Global smart speaker sales shifted further away from the U.S. in Q3 2018 as China rose to 29.4% of all devices sold and the U.K. re-emerged as the third largest market at 5.1% according to Canalys. In Q1, China accounted for only 20% of smart speaker sales. Not only did China’s share of smart speaker sales rise by about 50% in just six months, but it did so while unit volume more than doubled from 9 million to 19.7 million devices. It is well understood that the U.S. smart speaker market is locked in a duopoly between Amazon Echo and Google Home and their progeny. This same dynamic is currently playing out in China between Alibaba and Xiaomi. The two companies accounted for 94% of all smart speaker sales in China during the first quarter of 2018. Alibaba commanded 59% share to Xiaomi’s 35%. However, Q3 data shows a shift. Total share commanded by the market leaders slipped to 71%. This shaved 2% off of Xiaomi’s market share but more significantly eroded 21% of Alibaba’s Tmall Genie market share. Canalys points to Baidu as the likely culprit. Baidu introduced a low priced smart speaker in June that sold 10,000 units in 90 seconds. 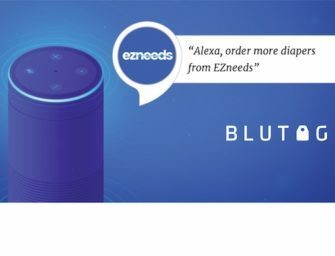 It also said that the DuerOS voice assistant technology was deployed on 100 million devices in just six months. Presumably, that device helped drive up Baidu’s sales in Q3 and it is eating almost exclusively into Alibaba’s market share. What is clear is that smart speakers are now a global phenomenon and not just a feature of the U.S. and Western Europe. Also clear is the fact that the smart speaker world is divided into two duopolies, Alibaba and Xiaomi in China, and Amazon and Google in the rest of the world. Baidu is looking to upset that balance in China and Apple is hoping to make inroads against Amazon and Google. The next 18 months will tell us whether duopolies or a more fragmented market is likely to reign supreme.